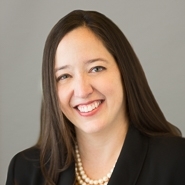 Partner and Chair of Marshall, Gerstein & Borun LLP’s Medical Devices Practice Group, Julianne M. Hartzell was President of the Coalition of Women’s Initiatives in Law from 2011 – 2012. In honor of the Coalition’s 10th Anniversary, Ms. Hartzell will serve as a panelist at the 10th Anniversary Presidents Panel. The Coalition of Women’s Initiatives in Law is a nonprofit membership association bringing together women in law firms and companies across the Chicago area. Ms. Hartzell will be joined by the Coalition’s past presidents to discuss how the Coalition has supported their paths to success. Attendees will gain insight into how the Coalition can be a resource for career endeavors. One hour of CLE credit pending approval. See the Coalition of Women's Initiatives in Law 10th Anniversary Presidents Panel homepage for further details. Ms. Hartzell has significant experience working with inventors and corporations in the fields of consumer products, medical devices, pharmaceuticals, and internet technology. Ms. Hartzell handles all forms of intellectual property litigation, including patent, trademark, copyright, and trade secret litigation. Ms. Hartzell also has experience enforcing covenants not-to-compete and confidentiality agreements. In October 2017, Ms. Hartzell was awarded the Coalition’s ‘Inspiration Award’, recognition given to a female attorney that serves as an inspiration to other female attorneys, and also demonstrates excellence in lawyering and achievement in her legal practice.